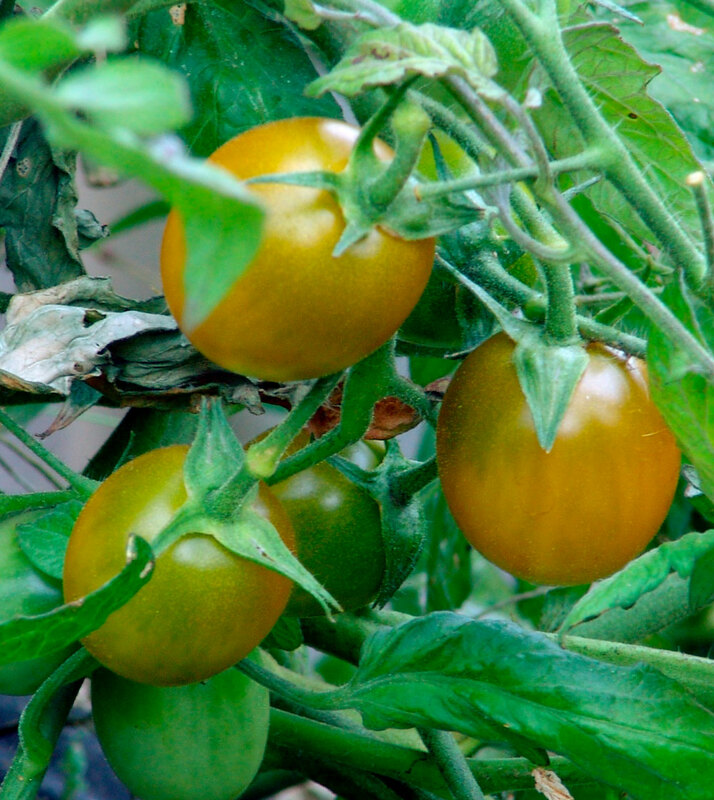 Better Bush Small, compact bush for patio, deck, or balcony containers; fruits to 8 ounces, with old-fashioned tomato flavor; from 3 to 4 feet tall; requires staking. Indeterminate, hybrid VFN, 68 days to harvest. Bush Early Girl Small, compact plants with top yield of 6- to 7-ounce fruits and very good flavor. Determinate, hybrid VFFNT, 54 days to harvest. Early Wonder Compact plant produces round, dark pink fruit to 6 ounces; full tomato flavor, great taste. Determinate, open-pollinated, 55 days to harvest. Hundreds and Thousands Hundreds Yes. Thousands? Not really, but you won’t go short of tomatoes with this variety. A single plant in a 13” basket produced a very impressive 504 fruits from the start of August until the end of September. The sweet, mini-cherry fruit measuring just 15 mm in diameter and are very flavorful. Polar Beauty Developed in Alaska for colder climates, it bears small to medium-sized oblate tomatoes with a good, full tomato taste. Short, bushy plants are productive. Determinate, 63 days. Siberia This might be the earliest tomato ever – only 7 weeks from transplanting to table. Capable of setting fruits at 38 F on sturdy dark green plants. The fruits are bright red, 3 to 5 oz. and bunch in clusters. Also good for a patio. Determinate, 48 day.